Title : Changing Places at The House Mill - Dust to Dust (installation) by Imran Channa. Title : Changing Places at The House Mill - STONEWORK by Omar Chowdhury. Title : Changing Places at The House Mill - The Distance From Here by Bani Abidi. Title : Changing Places at the House Mill - Residue by Desire Machine Collective. ‘Changing Places’ is a touring exhibition of recent film and video work from South Asia. 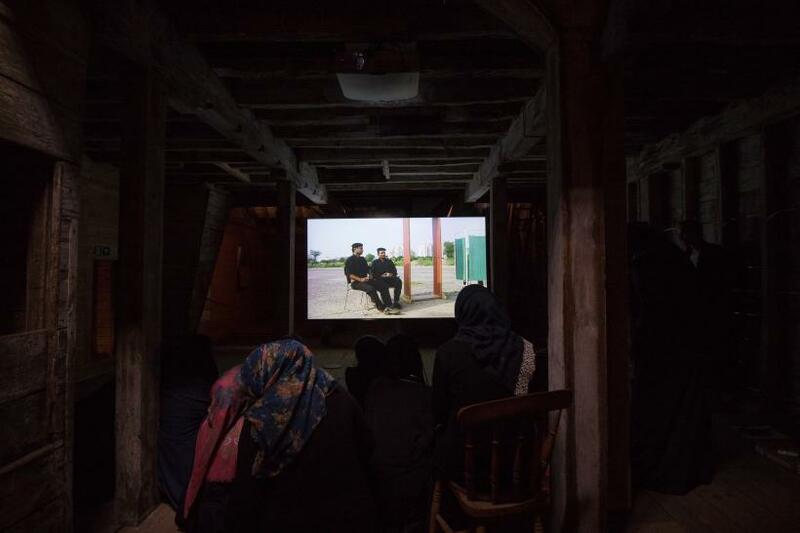 Curated by Mariam Zulfiqhar and Film and Video Umbrella, the show has been supported by the Canal and River Trust and is being shown in heritage buildings and sites along its network across England. The intention of this in the 70th anniversary of the end of British rule in India is to make a link between sites in the UK that developed through imperial trade and the contemporary experience of South Asian artists in order to reflect upon the legacy of colonialism and globalisation. The first venue, the House Mill, whose 19th century owners the Nicholson family were gin distillers who became colonial administrators in Africa and pillars of the Tory establishment, is already being redeveloped. With the addition of some horse brasses it could be a nice spot to stop for lunch if you have a canal boat. 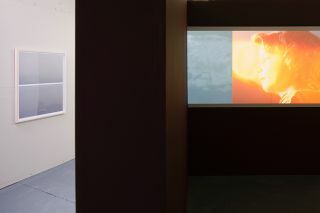 Reviewing the exhibition is complicated as not all the works are being exhibited at every venue and the format of the displays will vary due to the changing contexts. Responding to the show is further complicated by criticisms of the manner in which the 70th anniversary programme has been organised, giving the impression that UK institutions still attempt to gloss over the consequences of the programme of partition agreed by Mountbatten and the British government. Bani Abidi’s film ‘The Distance from Here’ (2010) presents a reality of contemporary Pakistan in which an ongoing exodus of job-seekers from the country suggests that the promise of independence may not have been delivered. In a vacant plot, lines of people form orderly queues to get their visa applications processed. The camera pans over the names of the destinations including Russia and the Gulf States. The UK is notably absent. It is a sobering list as an index for the network of new economic power relations. The clerks process the forms displaying a practiced bureaucratic efficiency – the main sound is the machine gun-like rattle of a typewriter – that must be little changed from an imperial rule in which people forced in to indentured labour were dispatched to effective slavery in territories across the British Empire. The piece was included in Abidi’s earlier exhibition at BALTIC. Talking about the work on that occasion the artist said she was interested in the psychology of waiting and the artificial nature of the film’s visa office scenario. These subtleties are a bit lost in the odd context of screening the work in an ‘olde worlde’ warehouse. The orderly manner in which the applicants pass through their security checks and the small detail of the clip-on ties available for interviews give a veneer of gentility to a scene that otherwise connotes a continuing degradation of these individuals. Abidi’s film gives the impression that this contemporary visa ritual of the migrant from India or Pakistan is now such a common experience that it may be taken for a symptom of the globalised condition. 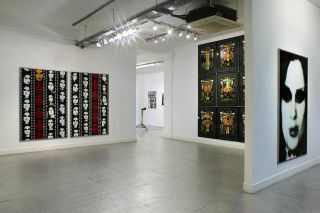 The artist’s apparent detachment on the topic is a far remove from the treatment of passport and identity documents in works by Zarina Bhimji included in ‘This is the Place’, where similar processing rituals are treated as evidence of racism and a traumatic experience suffered by British Asians. The show tackles the legacy of the Raj through the specially commissioned work of Imran Channa whose installation ‘Dust to Dust’ (2017) features a large drawing of the Crystal Palace that has been erased leaving only a ghostly after image. 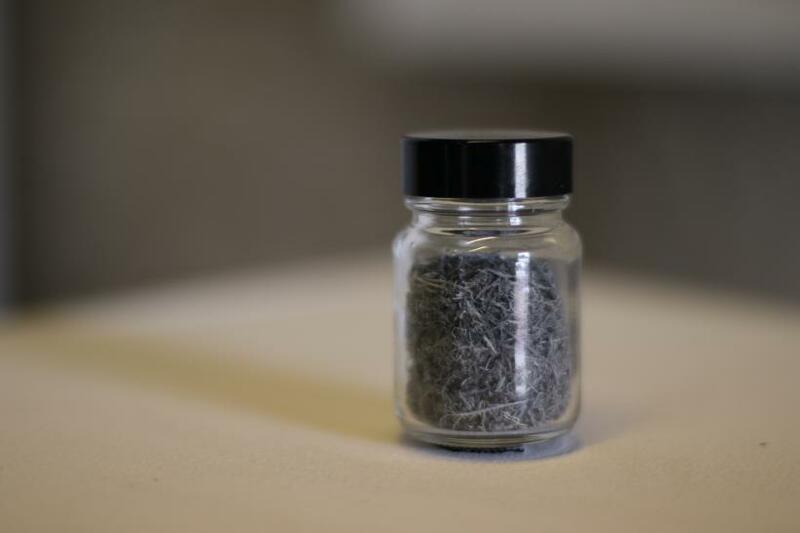 A spoken travelogue narrative plays and contemporary display cases contain dust collected from the venues the work tours to. Channa teaches at the National College of Art in Lahore that was founded by John Lockwood Kipling, whom as a child seeing the 1851 Great Exhibition’s India gallery was inspired to dedicate himself to the art of South Asia. Between them Lockwood Kipling and his son Rudyard did most to construct the fantasy benign image of British India that persists into the present. Lockwood Kipling’s raiding of the stylistic traditions of Punjab and Kashmir created the official design style of the British Empire. Pointedly, Channa has nothing to show from his fieldwork in England beside empty cases and dust. Channa’s faded Crystal Palace is a memento mori that demonstrates even this icon of the British Empire was transient. In ‘Residue’ (2011) the collective Desire Machine show an abandoned power plant in India that is being reclaimed by the surrounding forest, India’s modern economy already a relic of the old order. 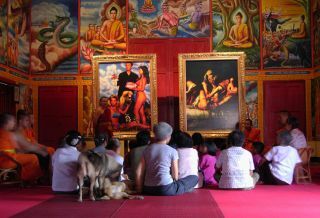 Rudyard Kipling drew upon the imagery of his father’s excavation of Buddhist temples to popular success with the overgrown lost cities inhabited by Mowgli. ‘Residue’ presents the problem of representing contemporary India as a symbol of corporate incompetence or the triumph of nature. 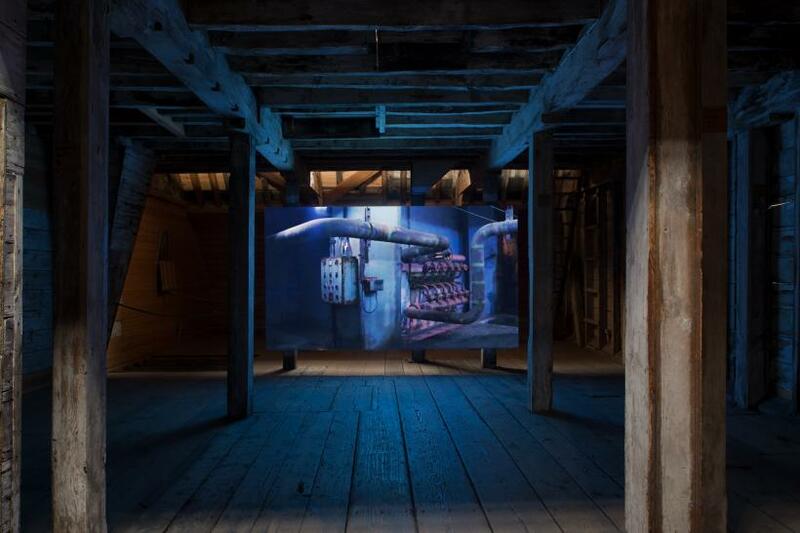 The placing of the film near to decaying generators within the empty mill buildings prompts an attempt to draw parallels between the two different experiences of communal exodus. Gayatri Spivak has warned that attempts at hybridisation of the postcolonial experience deflect from the ongoing task of producing ethnographic analysis of the narratives produced by the colonial powers. In Omar Chowdhury’s ‘STONEWORK’ (2013) the continuing position of Indian workers at the wrong end of global capital is spelt out. The manufacture of gravel for use on a construction project in Bangladesh is shown in reverse sequence – beginning with gravel being loaded on to trucks, we end with teams of labourers carrying and stacking heavy rocks. It is hard manual labour with no special equipment or safety clothing. This is a desperate scene to watch. A woman works alongside the men while her young child stands nearby screaming for attention. Chowdhury’s camera remains static through each scene that the workers phlegmatically toil away, there is no narration and little dialogue. The aesthetic is close to the ethnographic films that the colonial agencies commissioned in the 1920s as a very basic depiction of the labourers in tea and rubber plantations. Then, they were working for the British Empire and now it is global property investment. Chowdhury’s attempt to portray this contemporary scene objectively, stripping away the clichés and stereotypes of the South Asian working class who are largely ignored by Western film makers, at first appears detached. In the specifics of his composition of individual shots, I am reminded of Humphrey Jennings’ filming of British mining communities as surrogates for all those suffering under the Nazis in occupied Europe. In both Chowdhury’s and Abidi’s work there is a consideration of class and multiculturalism that does connect to the format of using the Mill House site as it symbolises the disappearance of East London’s working class but it feels forced. 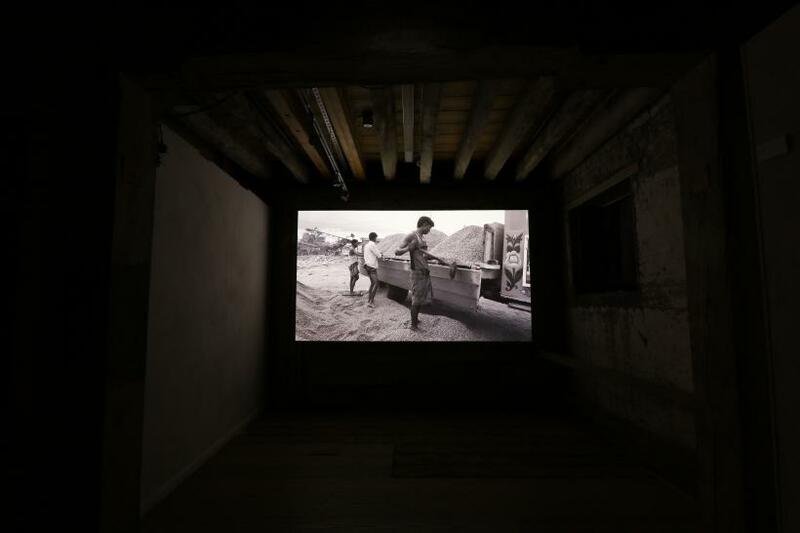 Naeem Mohaiemen’s excellent film shown at Documenta outlines more clearly the political and social contexts for contemporary South Asian artists. 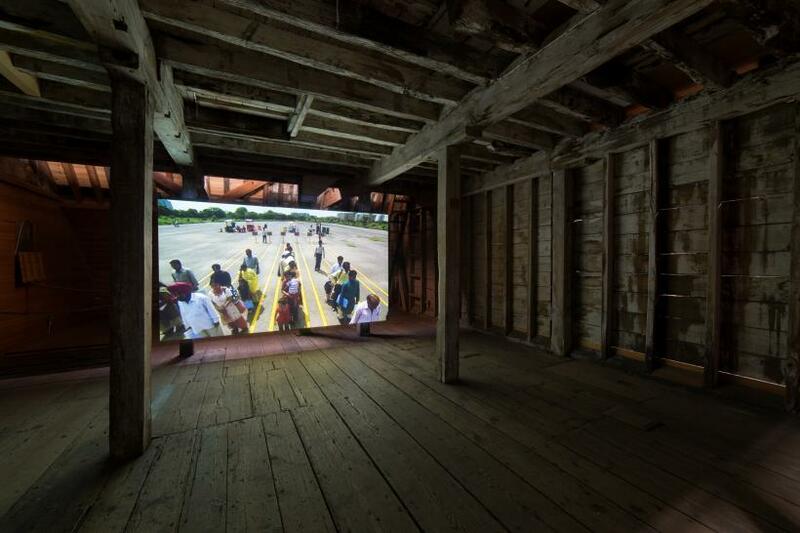 What remains is the challenge for artists from India, Pakistan and Bangladesh to have their work presented without a forced connection to a resurgent master narrative of the British Empire.